The arrival of the rainy season often worries parents because children are vulnerable to diseases, especially colds. From now on you don't have to panic anymore, because there are many ways you can try as a cold medicine for children. The desire of children to play under the rain may be obeyed, provided occasionally. Not without reason, this pleasure runs the risk of bringing on a disease with cold symptoms. More than 200 viruses are ready to make your child and even all family members experience nasal congestion, sneezing, sore throat, or coughing. 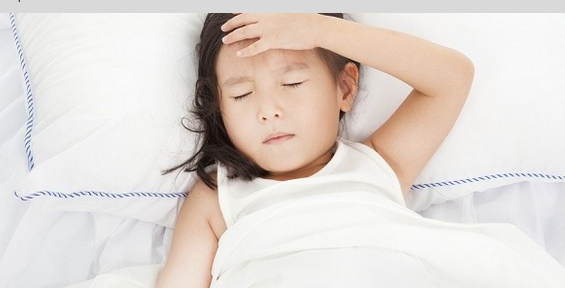 One of the most common symptoms that a child experiences when having a cold is a stuffy nose. To relieve this symptom, a warm bath can be an effective way to deal with a child's colds. In addition to making the body more comfortable because of the warm water temperature, moist air from moisture will also make mucus in the nose easier to get out. To help get moist air, can also use a humidifier or vaporizer. But the price is quite expensive, and must be cleaned regularly. Although coughing is the body's natural response to help clear mucus from the airways, it can be very annoying. To stop the symptoms of a cold this one, do not immediately use cough medicine, especially outside the doctor's advice. Honey can be a safe alternative to relieve cough symptoms in children who are having a cold. Honey is a natural ingredient that is safe for children aged one or more years. Experts think sweetness in honey triggers saliva to come out so that it pushes mucus out of the airway and relieves coughing. In addition, honey is also believed to have anti-inflammatory and natural antibiotic benefits. For children aged 1-5 years, enough half a teaspoon of honey is given. While for ages 6-11 years, a teaspoon of honey can be given to relieve their cough. For children aged six months and over, giving warm chicken soup can be a good way to relieve colds, especially stuffy nose. In addition, warm chicken soup can help children to cope with pain, fatigue, and fever. In addition to chicken soup, apple juice, or a little warm tea can have the same positive effect on children. For the handling of babies under six months, it is recommended for parents to consult a doctor about how to handle it properly. Placing the position of the child's head higher than his body or leaning can make the child more comfortable when breathing. This is especially helpful for children who experience nasal congestion symptoms so that children can sleep more comfortably and are not restless. For older children, letting them sleep in a soft reclining chair, or a favorite sofa in a half-sitting position can also be done. However, make sure you keep your child's body position safe and comfortable. As a medicine for child colds in infants under six months of age, breastfeeding or formula milk is the right step. As for children over the age of one year, the liquid given can be in the form of water, dilute filtered juice, and milk. Regarding the provision of milk, you can ignore the myth that this liquid will increase snot in children. There is no scientific evidence that supports this assumption. If the steps for administering the child's cold medicine above have not made his condition improve, then you are advised to contact a doctor. Moreover, if a cold in a child is accompanied by several symptoms such as fever which reaches 38 degrees Celsius for three consecutive days. Also note if the child has chest pain or abdominal pain, shortness of breath, vomiting, lethargy and rarely urinate, and does not heal for more than ten days.